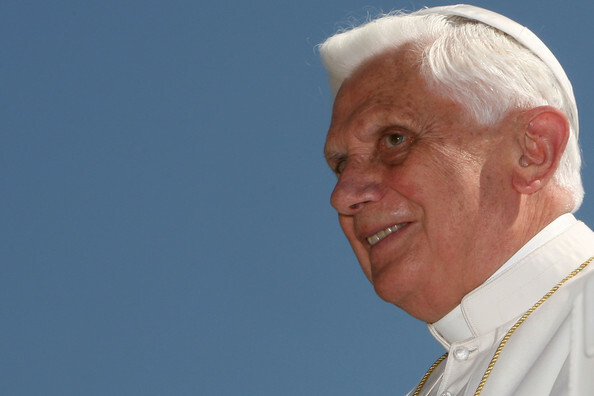 the pause, the Holy Father Benedict XVI intervened with a reflection on the Synodal theme. Dear Brothers and Sisters, the work for my book on Jesus offers ample occasion to see all the good that can come from modern exegesis, but also to recognize the problems and risks in it. Dei Verbum 12 offers two methodological indications for suitable exegetic work. In the first place, it confirms the need to use the historical-critical method, briefly describing the essential elements. This need is the consequence of the Christian principle formulated in Jn 1:14 Verbum caro factum est. The historical fact is a constitutive dimension of Christian faith. The history of salvation is not a myth, but a true story and therefore to be studied with the same methods as serious historical research. fundamental methodological elements to bear in mind the divine dimension, the pneumatology of the Bible: one must, that is 1) interpret the text bearing in mind the unity of the entire Scripture; today this is called canonical exegesis; at the time of the Council this term had not been created, but the Council says the same thing: one must bear in mind the unity of all of Scripture; 2) one must then bear in mind the living tradition of the whole Church, and finally 3) observe the analogy of faith. Only where the two methodological levels, the historical-critical and the theological one, are observed, can one speak about theological exegesis – of an exegesis suitable for this Book. While the first level today’s academic exegesis works on a very high level and truly gives us help, the same cannot be said about the other level. Often this second level, the level constituted of the three theological elements indicated by Dei Verbum seems to be almost absent. And this has rather serious consequences. completely. Because of this, interpretations that deny the historicity of divine elements emerge. Today, the so-called mainstream of exegesis in Germany denies, for example, that the Lord instituted the Holy Eucharist and says that Jesus’ corpse stayed in the tomb. 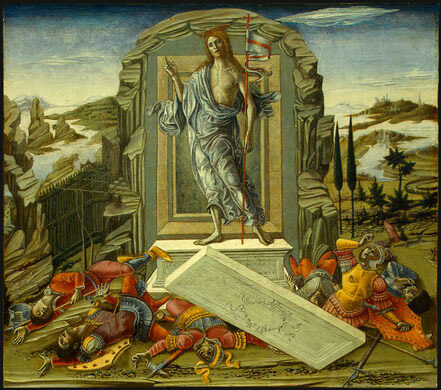 The Resurrection would not be an historical event, but a theological vision. This occurs because the hermeneutic of faith is missing: therefore a profane philosophical hermeneutic is stated, which denies the possibility of entering and of the real presence of the Divine in history. 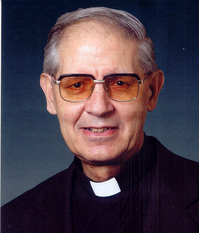 The consequence of the absence of the second methodological level is that a deep chasm was created between scientific exegesis and lectio divina. This, at times, gives rise to a form of perplexity even in the preparation of homilies. Where exegesis is not theology, Scripture cannot be the soul of theology and, vice versa, when theology is not essentially the interpretation of the Scripture in the Church, this theology has no foundation anymore. Therefore for the life and the mission of the Church, for the future of faith, this dualism between exegesis and theology must be overcome. Biblical theology and systematic theology are two dimensions of the one reality, what we call Theology. Due to this, I would hope that in one of the propositions the need to bear in mind the two methodological levels indicated in Dei Verbum 12 be mentioned, where the need to develop an exegesis not only on the historical level, but also on the theological level is needed. Therefore, widening the formation of future exegetes in this sense is necessary, to truly open the treasures of the Scripture to today’s world and to all of us. Dei Verbum, 25 exhorts all the faithful “to move voluntarily towards the sacred text through pious reading (“per piam lectionem”)”, linked to prayer: “so that dialogue between God and man may take place”. Pious reading is not merely study, but a personal relationship with the Lord, because “one can read the Bible without faith, but without faith one cannot scrutinize the Word of God” (IL 26a). Sacred Scripture is the inspired and normative testimony of revelation. The source of the testimony of Scripture is Jesus Christ himself, the faithful witness of the Covenant of God with men. The testimony of the work of salvation of Jesus is at the origin of Scripture. Therefore this can only be adequately understood by the witness. So to be pious, the reading of Scripture has to pass from Witness to witness. The category of witness places the Church in the front line as the subject of pious reading. This is the road of realism that avoids every fundamentalist and intellectual drift, obstacles in reading that exclude the witness of the Church, where the Word is heard in faith. This understanding of Scripture guarantees the primacy of the personal meeting with Christ, against every reduction of the Word of God to a book. Holy Scriptures such a precious gift from God. And yet we continue to feel that there will always be new or unanswered. The questions that reach us most often are of a pastoral character. The people of God continue to ask the pastoral question: How can we read the Scriptures so that they produce in us, in our hearts, in our families and in our communities all the good effects that Christian Tradition has proclaimed through the Centuries? Allow me to address just one concrete aspect within the wider pastoral breadth of the question. This aspect is the so-called “Medicinal” or “Transforming” power of the Word of God. It is my conviction that the Word of God can claim in a high degree a ”therapeutic” role in the life of the Christian community. Every time we “enter” the World of the Bible, we are exposed to a New World: God’s World; God’s action; God’s teaching of his people. The encounter, if real, can be shocking, surprising, enlightening, soothing or consoling. It can also be misunderstood and lost. Thus the conditions of the encounter are all important. Pastors and Ministers of the Word have to become good helpers for good and fruitful encounters. We need to know where people really are (diagnosis); we need the skills for presenting the Word (teaching, preaching, biblical catechesis); we are expected to be good company in the search for depth (contemplation); and we are ordained or commissioned for good Christian leadership (service of love for community and Christian living). 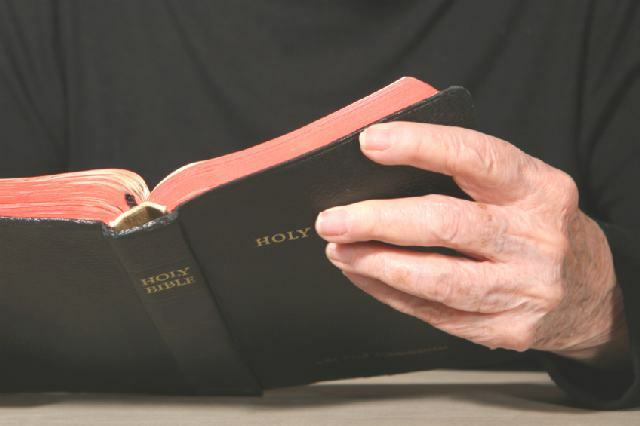 Which means that Pastors and Ministers of the Word need training for good diagnosis, for wise application of forms of reading, for deeper prayer and interiorization of the Word of God, and for a meaningful accompaniment that helps the faithful discern the action of the Spirit in and through the reading of the Bible. Since this is a fine skill that requires deep spiritual sense, adequate training and discerned commissioning, it seems highly needed that this training be included in the preparation for pastoral minis1ry and in programs of ongoing formation for all Priests. Moreover all Parishes and/or Dioceses should have access to Centers or Trained persons that can offer this service to individuals or communities and who can train catechists and other lay ministers in this important service. the impulse of Vatican Council II. That was a Biblical renewal according to the Life-Giving Tradition of the Church. 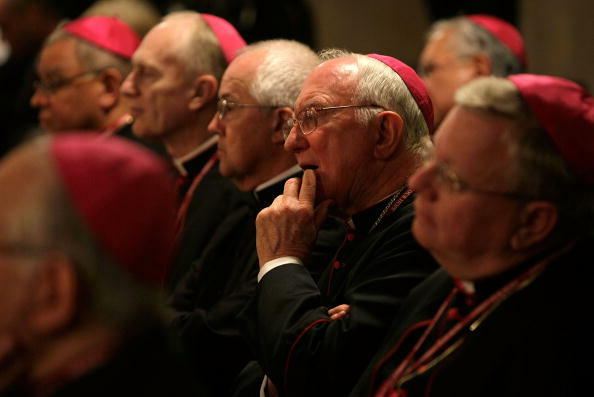 That renewal is still ongoing, and it may receive helpful stimuli from the Synod. 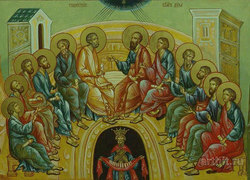 I thank the Holy Father for this convocation that involves us in a collegial discipleship dealing with the Divine Word. Making ourselves listeners to and disciples of Christ, who speaks in the Church (Ipse loquitur duro sacrae Scripturae in Ecclesia leguntur … SC 7), we offer the highest example of our being “Christian shepherds”: the Word of God is the evangelical gate by which we enter the fold. Whoever does not enter by this gate is a hired man not a shepherd (cf Jn 10:2). 2. Constant personal and community commitment in favor of all Biblical initiatives in the academic field, such as in ordinary Catholic education and making the daily pastoral an act of obedience to the Word, are to be encouraged in attachment to the Word. The Word of God will always lead us to the Sacrament, especially the Holy Eucharist, from which springs forth ecclesial communion. From the perspective of daily obedience, I would like to highlight the importance of the further study and personal appropriation of the Word of God after the liturgical proclamation. 3. The priority of Biblical formation in all the categories of the people of God should be reaffirmed. The criterio princeps, though, in the approach to the Biblical sciences should be that they do not negate, through their sometimes exaggerated criticism, the sense of an existential meeting with Christ. What is indispensable, therefore, is the zeal of the shepherds, above all in the homily, and in order not to extinguish the prophetic charge of the Word of God, we have to insist that it never transforms itself into an opportunity for secular or even personal argumentation, and that it be the moment of highest obedience to the Word in a true sense for the preachers of the Word. 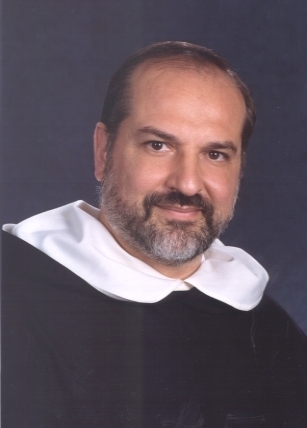 Formation in the seminaries and ordinary updating of the clergy and of us bishops remain a priority and should be accompanied by the “prayerful” Biblical spirituality, in which we decide ever more each day to look for and find Christ and with Him the brothers we should lead with us on a daily basis in obedience to the faith. 5. The Eastern Churches were able to evangelize cultures that were very far from the thinking of Christ and generate admirable liturgical, theological and spiritual traditions, lived by disciples who were faithful to the point of martyrdom. I render homage to those who remain faithful to the Word of Christ, especially in the East, in the darkest adversities of the present, and I unhesitatingly invite the Synodal Fathers to pray as brothers and as shepherds for the present and future of the Christian East. Thank you. The “primacy” of the Holy Scripture has its basis precisely in Trinitarian life. The great Medieval Doctors (Saint Albert the Great, Saint Bonaventure, Saint Thomas Aquinas) fully understood this; for them, the procession of people, within the unity of the divine essence is “the cause and the explicit reason of the procession of the same creatures.” The Word, genitus creator, has from the Father the will to make itself flesh and to suffer for us ab aeterno. God wished to reveal Himself to mankind in human form, through human culture, people and languages and through the very life of Jesus. While this form is for us a guarantee of the value of our nature , of history and of human cultures – with their different languages – it also poses complex problems of interpretation. As the reality of the creation is not rationally understandable without an adequate grounding in metaphysics – l’analogia entis – so knowledge of the Holy Scripture requires profound knowledge of the cultures and literary genres in which it was expressed; thus making possible a less inadequate perception of its literal sense and also the recognition of the analogical quality of the terms used. Christian faith, for all the fact that it is “religion”, must first of all be considered as “religion of the Spirit”, because the New Testament is principally the same Holy Spirit which in us produces charity and only secondarily, being “letter” may be considered “religion of the Book”. 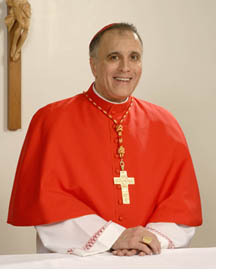 This process of revelation and of salvation is also the unveiling of the veritas iustitiae of our life, of the justice of God which is the foundation of the truth of our being and which is, for us, above all “justifying justice” that is to say based on its mercy which is the permanent precondition of divine justice, because it is the first root and also its crowning. irrigates the path of the Church. The liturgy of the Word must be surrounded by a beautiful solemnity, this is a requirement, because this is the usual meeting place between God and His people. The liturgical readings should be chosen with one essential criteria in mind: unity of the message offered by the Word. Even if the cutouts pose various questions, certain absences pose greater and more questions. This is due to the rooted fears that one must give up. An eyewitness of the Transfiguration, he recalls that Scriptures allow us to learn about the Presence of Our Lord. Its objective is to not lose the memory, or contact with Scriptures, the accomplishment of Jesus’ life. This word contains, so as to say in the Bible, the value of a spiritual testament given to the entire Church: Beware of pride that will lead you to thinking that the ancient words are no longer of any interest. On the contrary we must hold “more firmly to the prophetic word”. This exhortation is not displaced only for the Jews, Does this not welcome the prophetic word especially as a renewed invitation in obeying the Torah? In truth, the prophets remind us that God can freely burst in on the life of His people. Let us therefore hold on to their word more firmly, after Jesus showed us its meaning and depth. It is always up to the son of the centuries, we have seen this sad tendency to “forget” the Holy Scriptures in the Christians, to look at them like “sophisticated fables”. On the contrary, we need “through the Holy Spirit, that men continue to speak to us on behalf of God”. The Scriptures remain “a shining lamp” in our present shadows. She keeps us in humility, “waiting for the day to shine and the morning star to rise in our hearts”. This is why, until the coming of the Lord, we must continue reading all Scriptures. 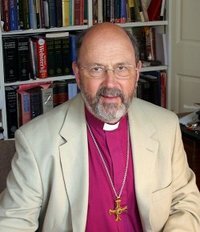 In present relativism, which leans to level off any differences, so that all words are valid and none is more valid than the other, where all is reduced to a game of opinions, the Biblical word must incarnate itself in the beauty of its witnesses, if it wants to draw the world towards the truth. 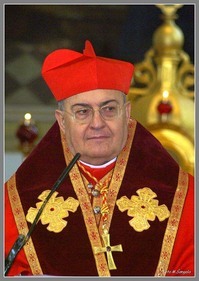 In Instrumentum Laboris (48), it is cleverly pointed out that “Making the Word of God and the Sacred Scriptures the soul of his pastoral activity, the bishop is capable of bringing the faithful to encounter Christ” […] “so that, through their own experience, the faithful will see that the words of Jesus are spirit and life (cf. Jn 6:63) […]”. The announcement of the Word of God, should therefore have as its scope making persons, so to speak, that they are in the presence of the living Person: be witnesses of the Person of Jesus Christ, the Logos became flesh. Or according to Saint Paul’s splendid words: it should be “a clear picture of Jesus Christ crucified, right in front of your eyes“. The Word of God is a source of an evermore deep and authentic knowledge of Christ, of “the knowledge of God’s glory, the glory on the face of Christ” (2 Cor 4:6). Such glory of Christ kindles a fire in us, becomes a desire to witness Him. It is said in Instrumentum Laboris (54) that “listening to the Word of God is a priority for our ecumenical commitment”. It is necessary to renew among Christians the tension towards the person of Christ Himself, the desire to understand and know more deeply His mystery. Through the encounter with the Word made flesh, made possible by the Spirit, we rediscover communion with Him: it is the force of the Spirit of the Risen Christ that attracts the scattered people towards His only body. The Dei Verbum had still not been discovered and developed in its great intuition that constituted an authentic dogmatic progress; the Council fathers in fact had recovered the Biblical concept of the uniqueness of the source. This allowed Sacred Scripture to be understood within the life of the Church which does not just live by it but is responsible for its being alive, complete and fruitful. Many believers when asked what they mean by “Word of God” reply: the Bible. This is not a wrong answer, but it is incomplete or at least it shows an incomplete perception of the richness present in the expression and leads, as a consequence, to identifying Christianity as the “religion of the book”. It is necessary that in our language we do not fall into the uncertain expression “the three religions of the book”. Christianity is the religion of the “word”. It is important to strive for the construction of a culture that sees sacred Scripture as a living word, dynamically open to the truth of the revelation it contains. If we do not present this teaching in its totality in the various instruments we possess for the training of our people, we risk humiliating the Word of God because we reduce it exclusively to a written text without the provocative force to bring meaning to life any longer. As the Apostle reminds us: “God’s message cannot be chained up” (2 Tm 2:9). What we are always faced with is the inexhaustibility of the Word of God; it is like the bush that burns without going out. We are called to exercise a ministry that permits this Word of Life to spread so that everyone in every part of the world can grasp its profound meaning in such a way as to obtain salvation. In a time like ours filled with attempts to marginalize the sacred texts as bearers of meaning only insofar as they are myths, with no historical character and destined only for the naïve, it is important that they find the necessary forms to restore historical value and provocativeness about the sense of existence. We really are faced with a teaching emergency that brings back to the center of our life of faith the theme of salvation. Again Dei Verbum reminds us how much has been transmitted and written on the “salvation announcement” (DV 7). The various cultural tendencies present in the modern world have not only perverted the meaning of salvation but they have marginalized it as useless and illusionary. Representing the Word of God in its totality means pointing the scope of its teaching towards the theme of our salvation. The Instrumentum Laboris and the General Report have pointed out that the interpretation of the Bible is one of the most pressing concerns in the Church today (Instrumentum laboris 19-31). 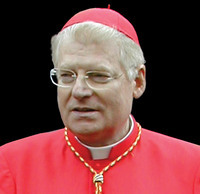 The essence of the challenge raised by the question of modern interpretation of Holy Scripture was identified some years ago by the then Cardinal Ratzinger: “How can I reach an understanding that is not based on the judgment of my own presuppositions, a comprehension that permits me truly to understand the message of the text, giving me something that comes not from myself?” («L’interpretazione biblica in conflitto. Problemi del fondamento ed orientamento dell’esegesi contemporanea», in AA.VV., L’Esegesi cristiana oggi, Casale Monteferrato 1991, pp. 93-125). The Church’s recent Magisterium offers us some elements for avoiding any possible reduction regarding this difficulty. 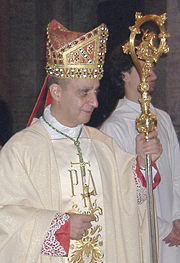 It was the Second Vatican Council’s merit to have recuperated a concept of revelation as the event of God in history. 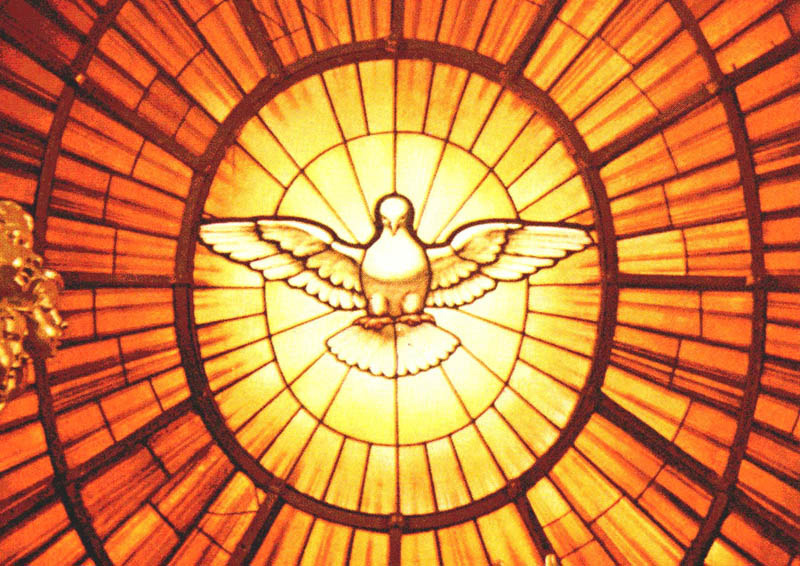 In fact, Dei Verbum allows us to understand revelation as the event of the self-communication of the Trinity in the Son, both the mediator and the fullness of all revelation,” in whom “the deepest truth about God and the salvation of man shines out,” (DV2) through the Holy Spirit in human history. It is Christ who “perfected revelation by fulfilling it through his whole work of making Himself present and manifesting Himself: through His words and deeds, His signs and wonders, but especially through His death and glorious resurrection from the dead and final sending of the Spirit of truth.” (DV 4). 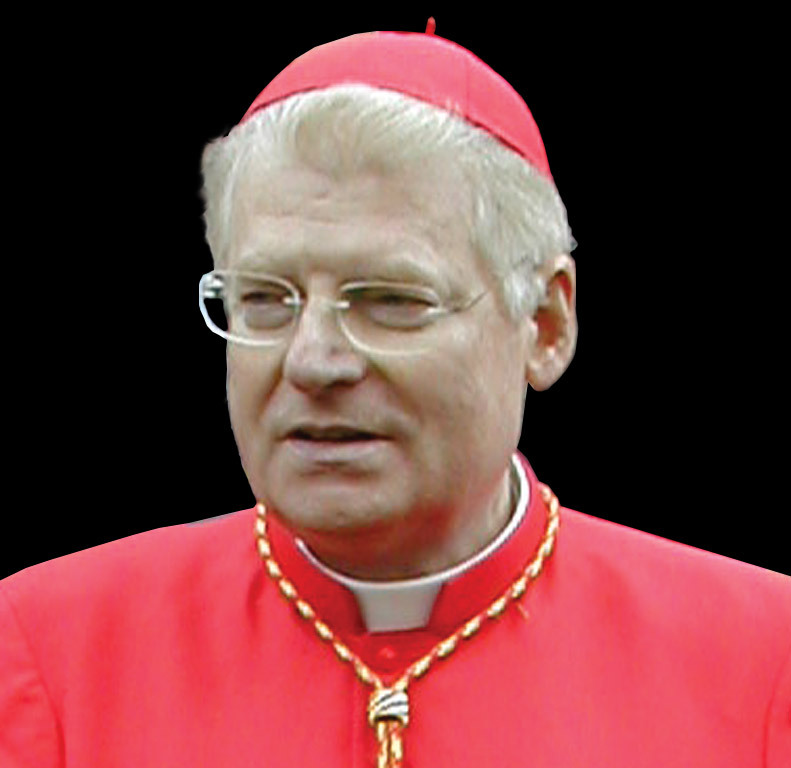 This event does not belong only to the past, to one moment of time and space, but remains present in history, communicating itself through the whole life of the Church that welcomes it. For “Christ’s relevance for people of all times is shown forth in his body, which is the Church. (VS 25 cf. FR 11). As the Apostles transmitted “what they had received from the lips of Christ, from living with Him, and from what He did” (DV 7), so the Church “in her teaching, life and worship, perpetuates and hands on to all generations all that she herself is, all that she believes” (DV 8). Precisely because of this character of event proper to revelation and to its transmission, the Conciliar Constitution stresses that though “expressed in a special way in the inspired books” (cf. DV 8), the event of revelation does not coincide with Holy Scripture. The word of the Bible witnesses Revelation, but does not contain it in such a way as to be able to exhaust it in itself. For this reason, “it is not from Sacred Scripture alone that the Church draws her certainty about everything which has been revealed” (DV 9). If revelation has the character of an historical event, when it comes into contact with man it cannot fail to strike him, provoking his reason and his freedom. The Gospel narratives in their simplicity show this, witnessing to the wonder that Jesus’ person aroused in those who met Him (Cf. Mk 1:27; 2:12; Lk 5:9) Jesus’ presence widens our vision so we can see and recognize what is before us (Cf. Lk 24, Emmaus). 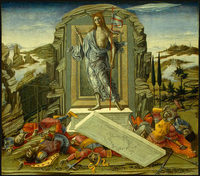 The encyclical Fides et Ratio insists on this when it affirms that men “can make no claim upon this truth [of revelation], which comes to them as gift and which, set within the context of interpersonal communication, urges reason to be open to it and to embrace its profound meaning” (FR 13). So the encyclical characterizes the impact that revealed truth provokes in man who encounters it with a twofold impulse: a) it widens reason so as to make it adequate to the object; b) it facilitates the acceptance of its deep meaning. Instead of mortifying man’s reason and freedom, revelation enables both to grow to the fullness of their original condition. Relationship with the tradition living in the Church’s body enables each and every man to share in the experience of those who encountered Jesus. Astounded by His unique exceptionality, these began a journey that enabled them to reach certainty about his absolute claim, that of being God. Those who make this journey do not accept naively the tradition they meet, but on the contrary put it to the proof, thus enabling their reason to grasp its truth. The experience of encounter with Christ present in the Church’s living tradition is an event and becomes, therefore, the determining factor in the interpretation of the biblical text. It is the only way to enter into harmony with the experience witnessed by the text of Scripture, for “correct knowledge of the biblical text is accessible only to those who have a lived affinity with what the text speaks of” (PCB 70). I was able to document this hermeneutical principle in a simple but meaningful episode that occurred some years ago in Madrid. There was a young man who had had no contact with Christianity; when he met a living Christian community he began to participate and to attend Holy Mass. After the first occasions of hearing the Gospel, he commented: “What happened to us happened to them!” It was the ecclesial present that disclosed the meaning of the Gospel account. I speak in behalf of Catholics who live in the famous Bible Belt of the Southern United States. It is a genuine location, but it is also a frame of mind, diffused through many places in the world. There are surely issues and problems with this mind set, but it has kept alive a Biblical imagination and vocabulary and a sense of divine agency in the world that is important for us. In the Instrumentum Laboris, #18 a-g and 22 c-d, the Word of God is spoken about in a deeply rich christological way. The pneumatology, however, is more discrete. Catholics in the Bible Belt need a pneumatology that can help them in reading Scripture. I would recommend the publication of a Compendium, similar to other such documents, that would be directed to the faithful. It would be a clear and direct guide that would highlight the rich and useful methods of the Church for reading and sharing the Sacred Scriptures. Such a Compendium would be an immeasurable help for personal bible reading, for Bible Study groups etc. Totally ecclesial and Catholic, it would also be of great help in ecumenical bible studies in which many of our people are enrolled. It would help retrieve a vivid and excellent sense of the Catholic understanding of the Holy Spirit’s inspiration in the Sacred Scriptures. 1. 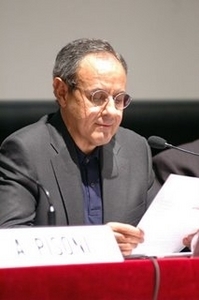 We face the same challenges as you: not only secularism and relativism, but also postmodernity. Uncertainty here breeds anxiety: (a) the Bible might tell us unwelcome things; (b) its message might be stifled. 2. A fourfold reading of scripture as the love of God: heart (Lectio Divina, liturgical reading); mind (historical/critical study); soul (church life, tradition, teaching) and strength (mission, kingdom of God). These must be balanced. 3. In particular, we need fresh mission-oriented engagement with our own culture. Paragraph 57 of the Instrumentum Laboris implies that Paul’s engagement merely purifies and elevates what is there in the culture. But Paul also confronts pagan idolatry, and so must we. In particular, we must engage critically with the tools and methods of historical/critical scholarship themselves. 4. The climax of the Canon is Jesus Christ, especially his cross and resurrection. These events are not only salvific. They provide a hermeneutical principle, related to the Jewish tradition of ‘critique from within’. 5. Mary as model: Fiat (mind); Magnificat (strength); Conservabat (heart) – but also Stabat, waiting patiently in the soul, the tradition and expectation of the church, for the new, unexpected and perhaps unwelcome, but yet saving, revelation. to the sacred Scriptures. This synod and our study of the Bible is essential to our spiritual life and our life in the Catholic Church, so spend time with materials that will broaden your scriptural horizon. The synod and the Year of Saint Paul are apt for our times. Synod of Bishops on the Word of God. They are worth your consideration. AND when you’re finished with the above, read John Allen’s article here. Synod on the Word of God: Are YOU praying for it? What are you doing to know the Scriptures better? intercession? Will you following the Pope’s meeting on the Bible? Prayer to the Spirit is always key to the work of our Church: the scholars, pastors, students and faithful rely on our intercession on their behalf. A Synod is a religious meeting or assembly at which bishops, gathered around and with the Holy Father, have opportunity to interact with each other and to share information and experiences, in the common pursuit of pastoral solutions which have a universal validity and application. 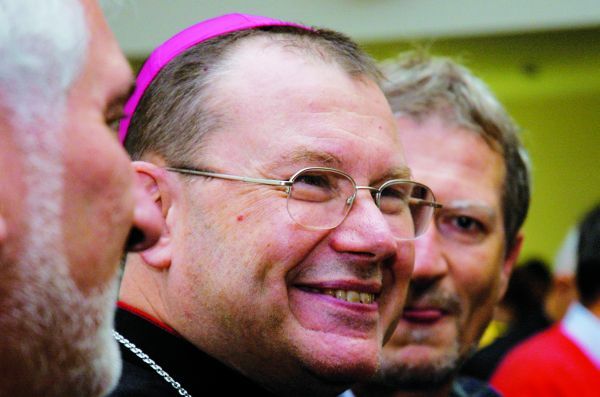 The Synod, generally speaking, can be defined as an assembly of bishops representing the Catholic episcopate, having the task of helping the Pope in the governing of the universal Church by rendering their counsel. Pope John Paul II has referred to the Synod as “a particularly fruitful expression and instrument of the collegiality of bishops. Scripture by the inspired authors and faithfully guarded in Tradition, come together in the Person of the Lord Jesus, the Word of God. This is seen in the New Testament, which narrates and proclaims the mystery of his death, resurrection and presence in the midst of the Church, the community of his disciples called to celebrate these sacred mysteries. Because of the grace which leads to the destruction of sin (cf. Romans 6:6), his followers seek to conform themselves to their Master so that each might live Christ (cf. Galatians 2:20). Such is also the case in the Old Testament which, according to Jesus’ own words, refers to himself (cf. John 5:39; Luke 24:27). Reading the Scriptures from a christological and pneumatological perspective leads from the letter to the spirit and from the words to the Word of God. Indeed, the words often conceal their true meaning, especially when considered from the literary and cultural point of view of the inspired authors and their way of understanding the world and its laws. Doing so leads to rediscovering the unity the Word of God in the many words of Scripture. After this necessary and ardent process, the Word of God shines with a surprising splendour, more than making up for the labour expended. 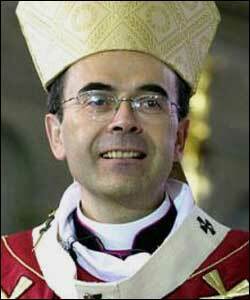 So, let’s remember the Synod members in prayer. Perhaps we should offer a rosary and fast for the Pope’s intention.